Eurozone industrial output shrank by more than expected yesterday, which in turn sent the euro down against the dollar. However, investors were in no mood to move significantly in a particular direction, pushing for a rebound in the afternoon session to level the score. 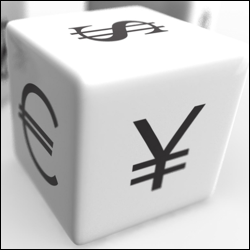 As a result, the EUR/USD pair closed just 8 points lower at $1.3301. The delay to the US Congress' vote on Syria changed investor sentiment by fuelling a renewed risk-on attitude. Consequently, the shared currency maintained its upward trajectory versus the dollar, rising another 44 points to $1.3310. A retest of $1.34 mark now looks to be under way, especially if the economic picture continues to improve. Concerns over a potential military conflict eased yesterday as US Secretary of State John Kerry appeared to listen to a proposal for Syria to turn over its chemical weapons. If things calm down somewhat, the Fed's tapering plans could take centre stage once again. All in all, the euro climbed another 13 points versus the dollar to reach $1.3266. Spread betting investors' confidence in the Eurozone climbed unexpectedly, supporting the rally in the euro-dollar pair to $1.3252, an 85 point gain for the day. At the same time, last Friday's weaker than anticipated Non-Farm Payrolls report raised a few eyebrows about the chances of a scale back in US stimulus, further accentuating the rise in the euro. Amid a weaker than forecast jobs report in the US, which undoubtedly eased worries that the Fed might start tapering sooner rather than later, FX investors moved out of the dollar. In turn, the euro was on the receiving end of that extra interest, pushing the EUR/USD pair 54 points higher to $1.3175. It remains to be seen whether the renewed risk-on sentiment will last, given the very volatile political situation.